They have been through so much, and they have so little. Many of the approximately 40,000 Syrian refugee children growing up in Jordan's sprawling Za'atari refugee camp don't remember a time before Syria's brutal civil war began in 2011. UNICEF supports 13 Makani Centers in Za'atari, where children can go to learn, play, receive special services — and share distant memories of home. 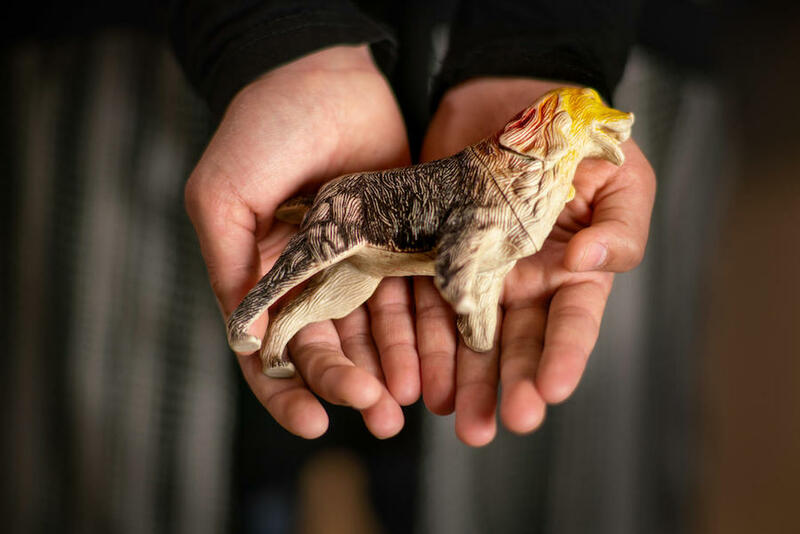 In the photos below, young refugees display some of their prized possessions, talismans that connect them to their former lives and give them courage to dream of a brighter future. "This toy is from Syria. Her name is Farah," says 10-year-old Yara (above), cradling a little yellow-haired doll in a lacy pink dress. Yara's father gave her Farah for her birthday. She loves to braid Farah's hair and take off her tiny dress so she can wash it and hang it up to dry, then get her dressed again. "I take care of her because I love her. I feel happy when I'm with her. I take her everywhere. I sleep with her. I tell her the story of Little Red Riding Hood — it's about a wolf — to put her to sleep." Yara has fond memories of her bedroom in Syria. "It was white and I had teddy bears and one was really big. Bigger than me. It got scary in Syria. There were shootings. Dad said, 'Get your stuff together, we're going.' I wanted to bring that teddy bear but my parents said no, it was too big. So I put Farah in my bag. I told her we're going to Za'atari. I told her don't make a sound because if you do, we can't go in. She was scared." Yara goes to school in the camp and wants to be a pharmacist when she grows up so she can give people medicine that will heal them. 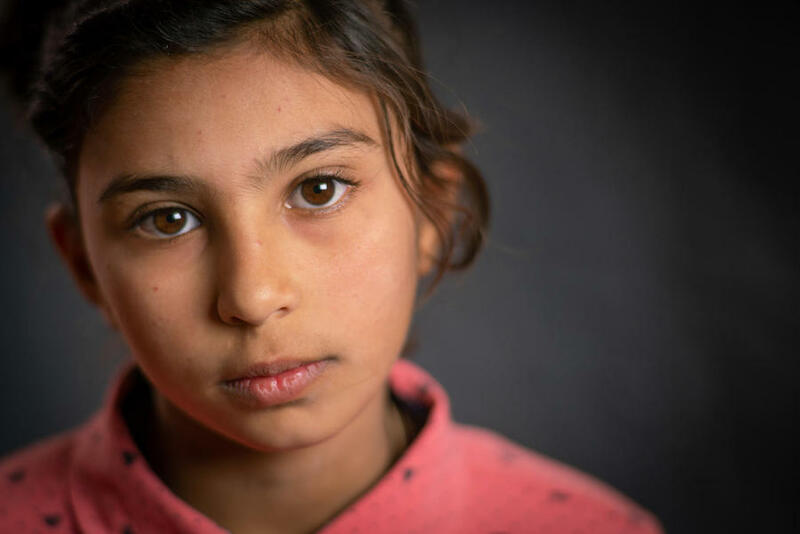 She hopes to return to Syria one day. "I will dress Farah up and get her ready and we will go. But this time, I'm bringing all of my toys." 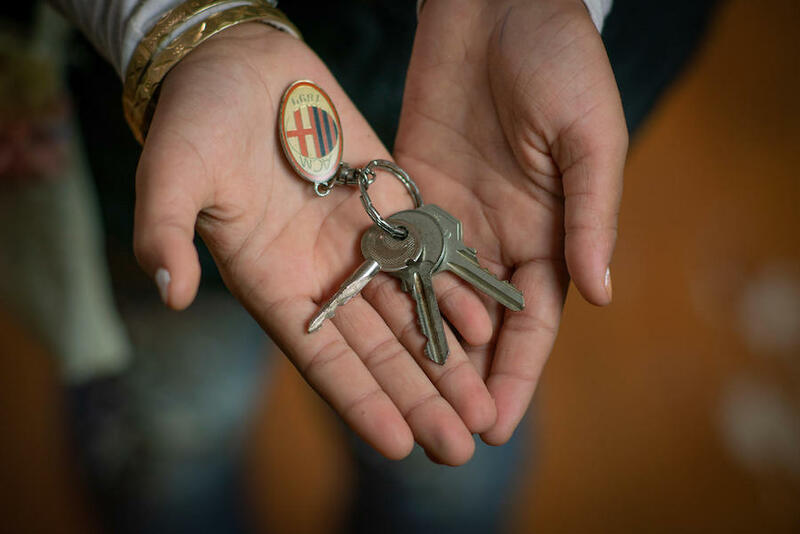 Rudaina, 11 (below), holds the keys to her old house in Syria. "These are my house keys," she says proudly. "I brought them with me because when we go back to Syria, I'm going to be the one who opens the door. My parents tell me that Syria is beautiful. I was so little that I don't remember." Now Rudaina is in the fourth grade. Her favorite subject is math and she wants to be a pediatrician when she grows up. "We once had a home, but now we live in a caravan," she says. "I feel so sad when I hold the keys because I'm so far away from home." 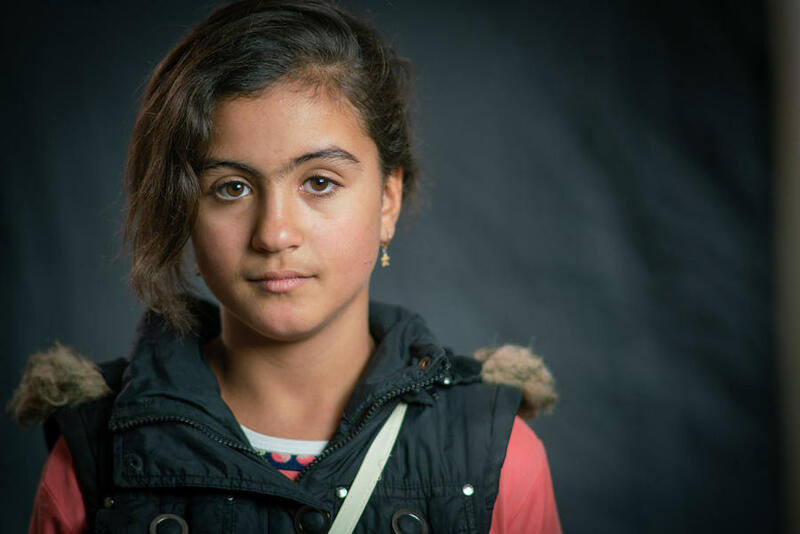 "I was little when we left Syria — only 8 or 9 years old," says Shatha, 15 (below). " I don't remember much. When we had to leave, I took this dog with me. I was thinking he would protect me. I had so many toys to choose from but he was my favorite. I played with him a lot. I remember being on the bus here and sleeping a lot. I held him the whole way to Za'atari. The camp was full of tents back then and life was hard, really hard. I kept getting lost. I never let go of my dog in those first days so he could protect me." "Now life is sweet," says Shatha. "We have these centers and schools and we're getting an education. We have friends and parties. I love the Makani Center; it's my favorite place in the camp. We learn there and we play there. I play lots of soccer and I like the computers. My toy dog will always be with me. I'll tell my children my whole life story and his — because it's the same as mine." Omar, 11, loves his teddy bear, Ben 10. "My Ben 10 transforms into an alien from space and saves the world," he says. 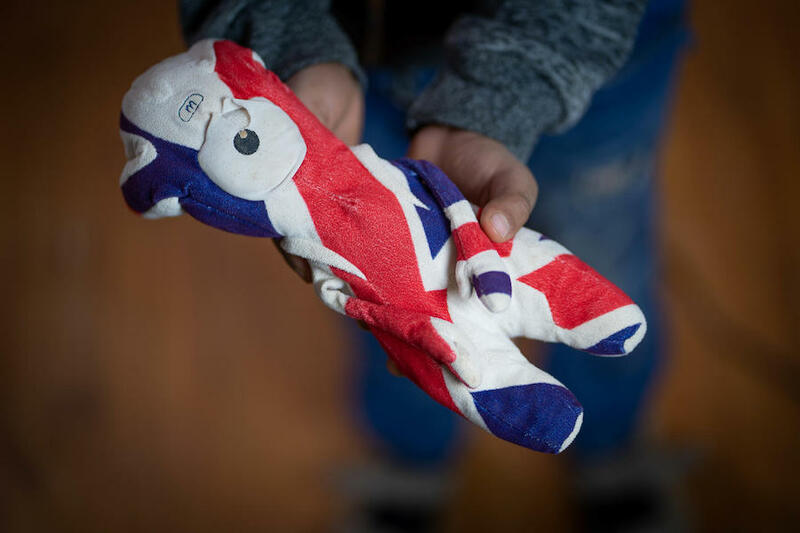 "I brought him from Syria. My brother gave him to me before he died." Omar (below) lost both of his older brothers in the conflict. 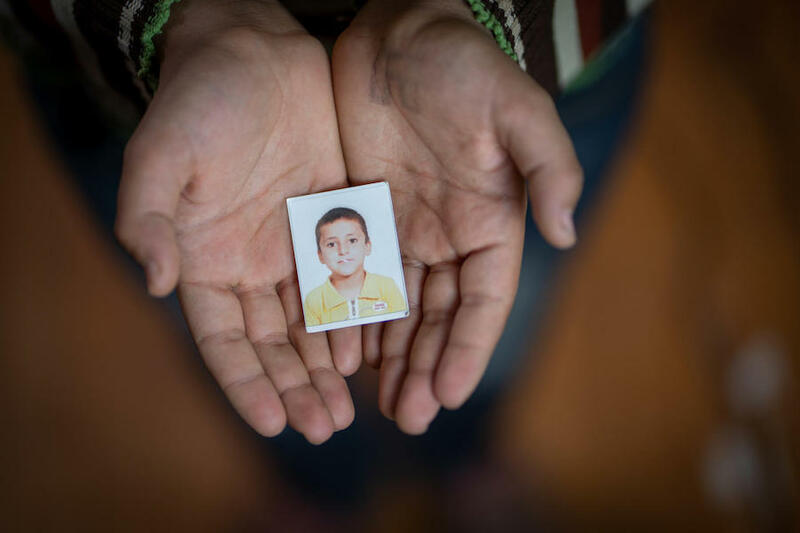 His brother Abdulrahman was just 7 years old when he was killed. "He bought Ben 10 for me in the market and told me to take care of him. We used to watch the cartoon together. I still watch it now." Omar has two little sisters. "I'm the only boy now. I think my brother would be proud of me." 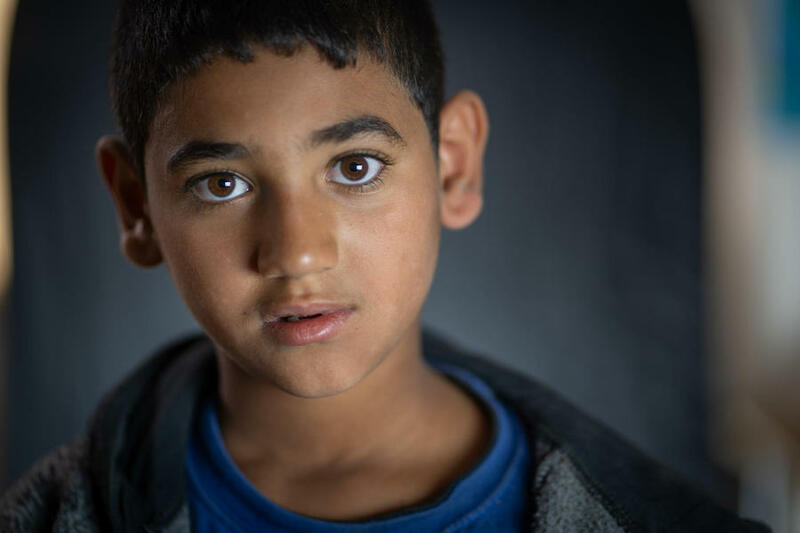 Omar doesn't remember much about his house in Syria, but he thinks it was as big as a UNICEF Makani Center, where he goes for learning and counseling. "Most of our stuff we had to leave behind, but my mom packed Ben 10 so I could play with him. It's so important to me. This toy is as precious to me as my own brother. I'm going to keep it forever." Omar's favorite subject is math and he studies very hard because he wants to become a pilot. "I used to be afraid of planes but now I want to travel," he says. "Maybe if I get on a plane I won't be afraid anymore." 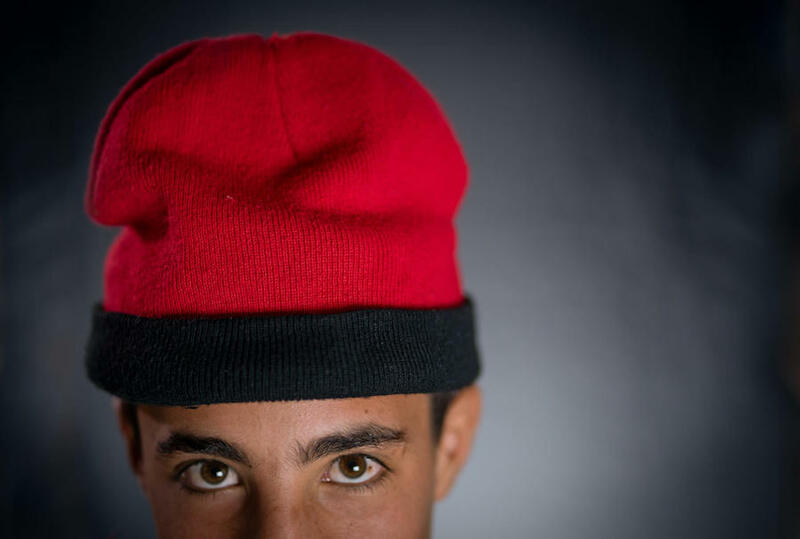 Mohammad, 16 (above), wears his hat from Syria everywhere he goes in Za’atari refugee camp. "This is my hat. My father used to work in Damascus. He bought it there and gave it to me. Life then was magnificent." He still remembers the beginning of the conflict in Syria. "Children were being killed and houses were being bombed. My father feared for our lives and for our future. When we had to leave Syria, it was winter. I remember crossing a valley and the ground was difficult to walk on. It was dangerous, and cars were sliding on the ice." Mohammad brought as much of his clothing as he could carry, but the hat remains his most loved item. "I wore it all the way crossing to Jordan and I still wear it every winter. It's so precious. It reminds me of Syria. My parents tell me about when we were little. They say that Syria was beautiful. I will go back home to my village and continue living there. I will bring my hat and tell my children everything about my story." "This is my blanket. When I was little and it was my birthday, my grandmother bought it for me," says Nour, 12 (below). "I remember when we had to flee because there was bombing. It was night time. That's why we came here. I was covered in it when I was little and we arrived here. It protected me against the cold and the rain. I was scared, but my Mom held me." Nour wants to be a teacher when she grows up. Her favorite subject is social studies. 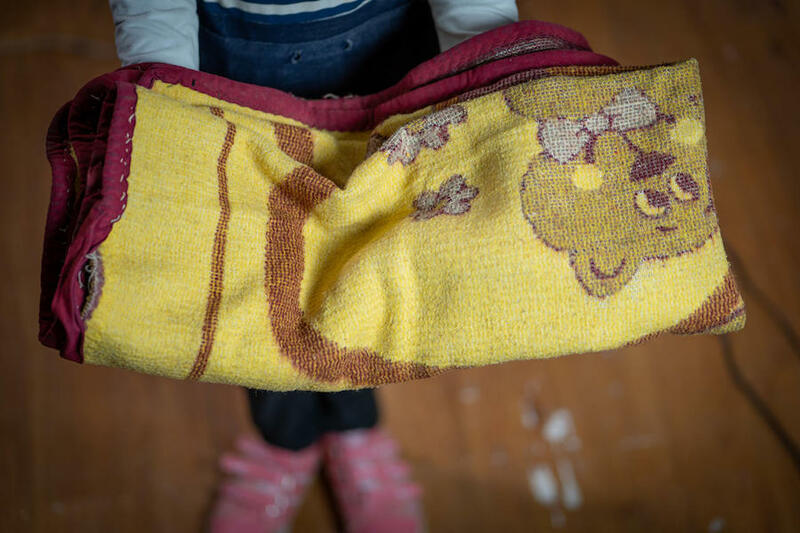 "I still have feelings when I cover myself in this blanket," she says. "I feel sadness thinking about the old, beautiful days in Syria. But I also feel protected and safe. I'm going to keep it as long as I can." "This is a photo of me. It's my memory," says 13-year-old Yahya. "It means a lot to me because it was taken for my school registration form. I was in the first grade for only one week and then we had to come here. I have memories from this time, both good and bad. I remember how my school looked. It was beautiful. I had started making friends and playing soccer. "But the bad memories are of the war, when we were being bombed. I want to forget this memory and the memory of the journey here. It was night time when we left Syria and we could hardly see the road in front of us. We moved through valleys full of thorns that hurt when we stepped on them. People started throwing away their belongings because of how hard the journey was. Anything heavy had to go. I had to leave behind my school books and my pens because my mom told me to. She said it wouldn't be long before we came back home. But it has been six years." Yahya keeps his photo safe so he can remember his past when he looks at it. "This photo is part of my childhood. When I look at it, it makes me smile to see myself and I'm happy to have a memory of when I was younger in Syria. I was only six then. Now my biggest wish is to return to Syria and see my house and my school. 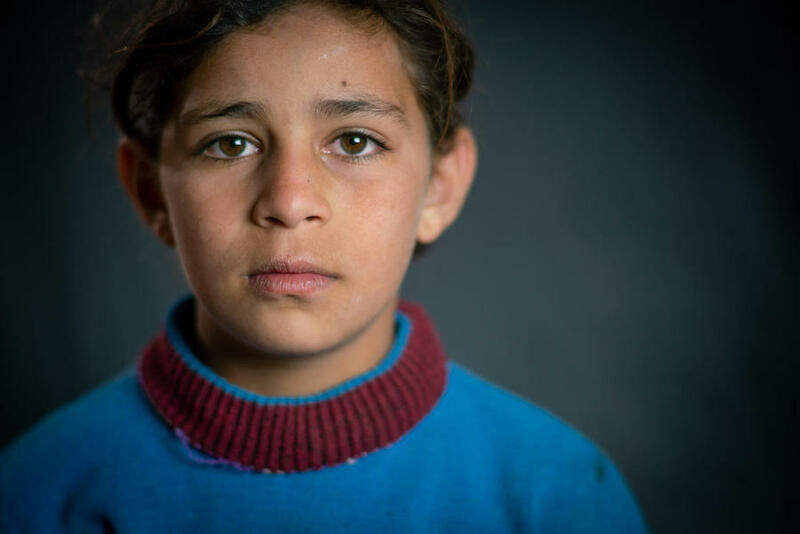 I want Syria to be safe again." 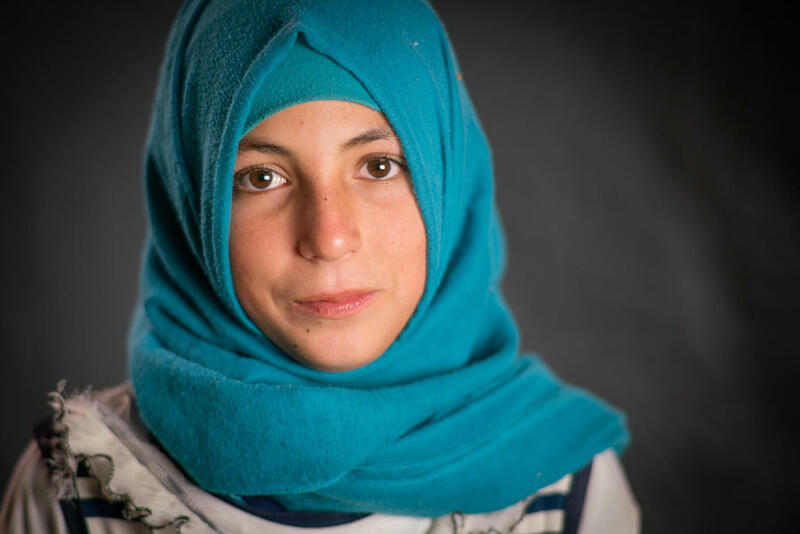 "My favorite photo is me and my brother together," says Hala, 11 (below). "It was a Friday. My mom had dressed me nicely for Friday prayer, then we went to the market and a restaurant. After that, we went to a photographer's studio where this photo was taken." 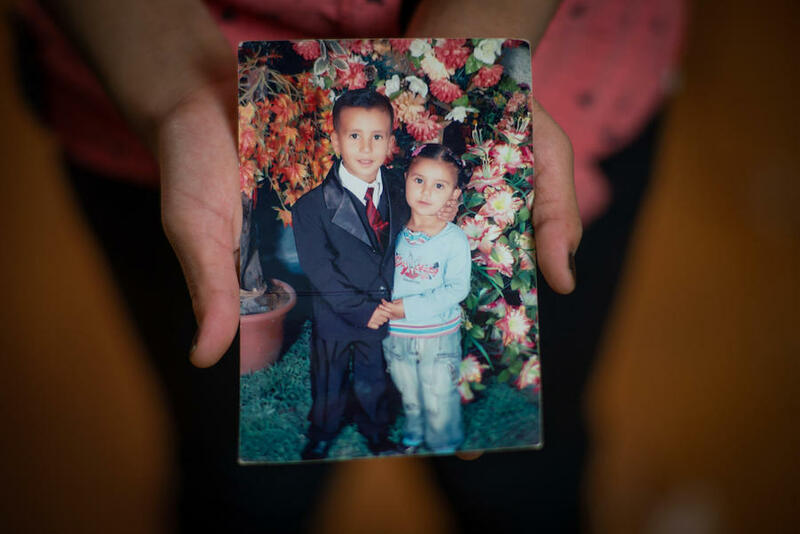 Hala has a handful of photos from Syria hidden in her closet to keep them safe. She takes them out from time to time to look at them. "I only remember war," she says. "I used to be so afraid. Bombs used to fall around our house. Without photos, I wouldn't know what it was like to be a kid in Syria. Because Syria is in my heart. It is my country where I was born. When I look at this photo, I remember those days again. There aren't enough words to describe the life I see in those photos. It's pure happiness." 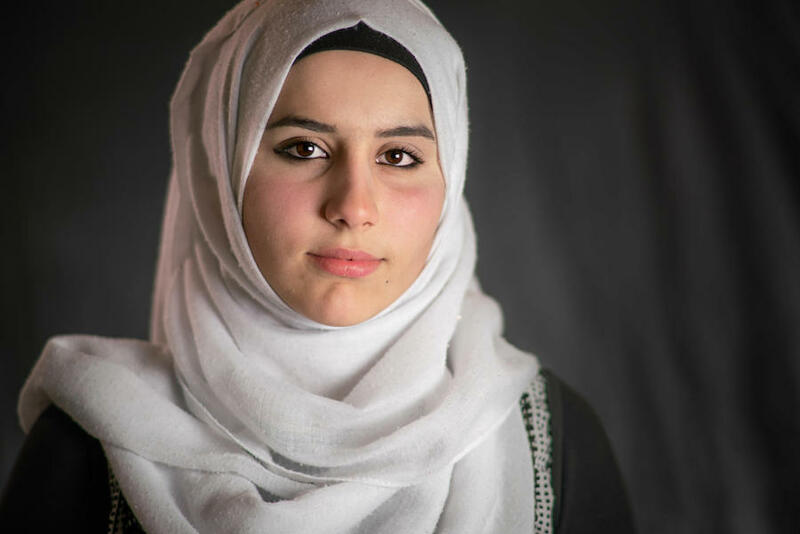 Hala missed two years of school because of the conflict. Now she's in the fourth grade. "I love school a lot," she says. "Arabic is my favorite subject and I want to be a surgeon. My mom told me it was her dream when she was a child to become one, but she got married instead. I want her to fulfill her dream through me. I have to be courageous and not fear anything." UNICEF supports 150 Makani centers across Jordan. The 13 centers in Za'atari serve more than 7,000 children growing up in the camp, providing an integrated set of services including learning support, community-based child protection, early childhood development, adolescent and youth participation, life skills and innovation labs.